Sewer and Drain Repair or Sewer Cleaning? A sewer camera can be the difference between guessing and knowing. NJ plumbers can use sewer cleaning equipment to clear out tree roots with hydro jetting. Sewer drain pipe repair in NJ very often starts with a sewer clog. Sewer clogs can happen: There’s nothing convenient about them. When your sewer clogs over and over again within a short time trying to figure out what and where the problem is can be a frustration. 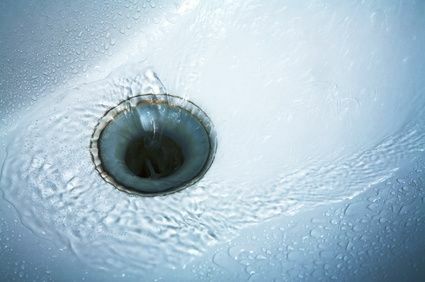 Sewer clogs are typically caused by one of three reasons: Pipe breakdown, where the old sewer pipes can collapse and crack and sink; or by foreign objects, or toys or other odd items can get in the sewer line. And finally, tree roots clogging the sewer line, which is probably the most often-found problem with sewers and are incredibly invasive when searching for water. Since there is a steady supply of water in the sewer line, they can break through the pipe and cause major problems. Camera sewer inspection in new jersey is usually done when you have frequent sewer clogs in order to determine what and where the sewer problem is. These problems occur in pipes buried underground and are inaccessible without excavation. Sewer camera inspection allows sewer plumbers to go to the problem location and investigate the situation. Not only can it tell us what type of clog we’re dealing with, but it can also tell us where the clog is. The sewer cam also comes with a built-in locator and that will tell us where the clog is exactly so that when we dig, we dig right at the spot where the problem is. How the camera works is you take off the vent cap and throw the camera down through the vent cap. So at first just run it down the pipe. Take the camera and just run it up through the pipe, up through towards the house. Just run it down the pipe, looking for cracks, looking for roots…There could be anything in the pipe. There could be a toy in the pipe. I mean anything at all. Tree roots in the sewer line in nj is very often what we find is the problem with the sewer line. If that is the problem we can actually take a high water pressure sewer jetter and jet the line out and it just cuts all through the roots. we run the sewer jetter up through the pipe and get rid of the roots. And you do that, and you take the camera and you run the sewer camera back down through the line and make sure that you got them all. If it’s just a clog and you want the line cleaned up, you can do the same thing with the sewer jetter. 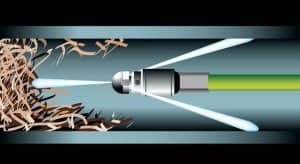 Just run the sewer jetter up through the line and it cleans up all the muck that lies inside the sewer line, just lies there. We can get rid of all that. 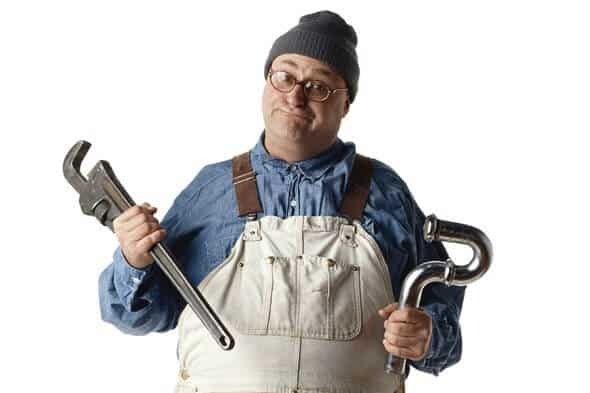 Main sewer drain repair in NJ will be needed if we find that the sewer line is broken. But now we know exactly where the broken pipe is and what we need to do to fix it before we start excavation of the sewer pipe so we can dig up only the small portion that is broken. Sometimes we don’t have to dig at all but can use pipe relining or pipe bursting to fix the pipe without excavation. A sewer camera to a NJ sewer plumbing company is like an X-Ray before surgery. Sewer camera inspection allows us to make wise decisions, so that we can permanently fix the problem instead of just putting a band-aid on it. Wise decisions save money and time and headaches. 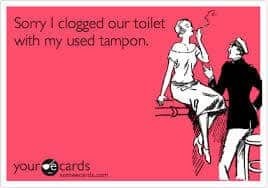 The next time you have a sewer clog, don’t guess! Know who to call. A sewer pipe repair company in NJ can figure out how to solve your sewer problems in a quick and affordable way. 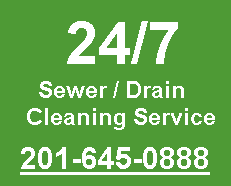 We are here for you 24/7 if you need any sewer cleaning in New Jersey or drain cleaning in New Jersey. Please contact us at anytime 24/7 in NJ for drain cleaning pipes or sewer lines for home commercial, office buildings, industrial and residential. We would be happy to serve you at affordable drain sewer cleaning prices in NJ. We use many different sewer and drain cleaning techniques to clear drains. 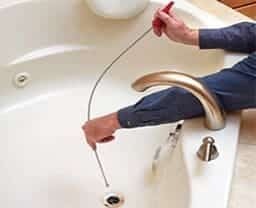 Not every clogged drain can be solved in the same way. To find out more, or to schedule same-day sewer service today, call us anytime at 201-645-0888.